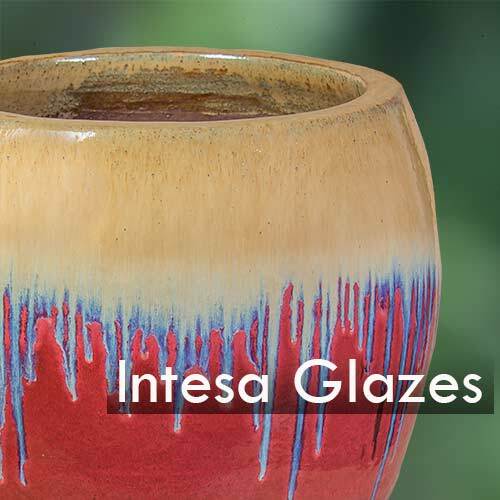 Rich, nuanced and multi layered glazes sets the Intesa line apart from all others. Choose from single, double or triple colors on each pot to create an unmatched selection. Sizes run from the smallest to the tallest at 52 inches to satisfy all your customers. 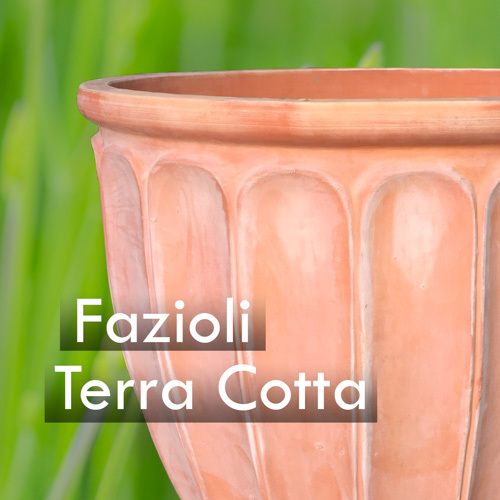 The Tescali line presents the merging of art and outdoor pottery. 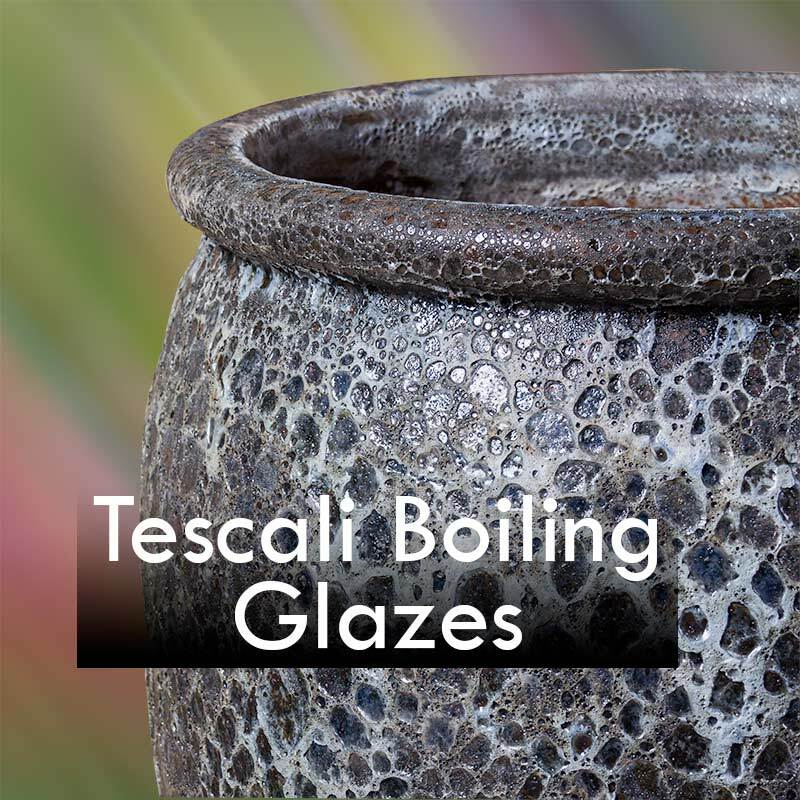 These new boiling glaze finishes exude warmth while they sparkle in the sun. Multi textured and colored by potters possessing a long family tradition of creativity, no two will be alike! Your customers will always have a unique piece for their home or garden. Take a look at these amazing finishes! 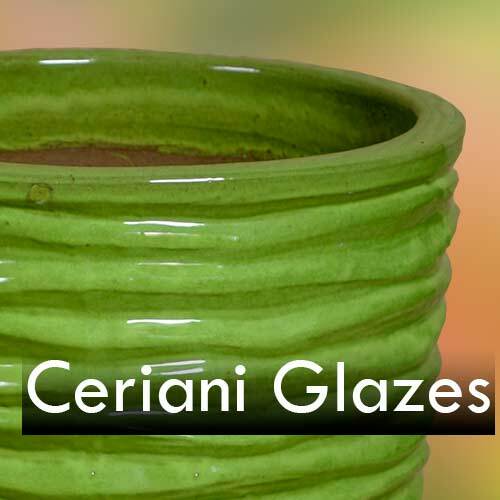 The Cerani line is known for its clean lines and brilliant glaze finishes. 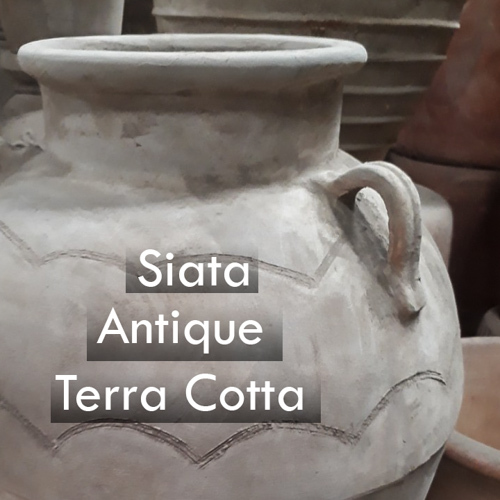 Encompassing both contemporary and traditional styles these pots will compliment a wide variety of decors and consequently maximize sales. 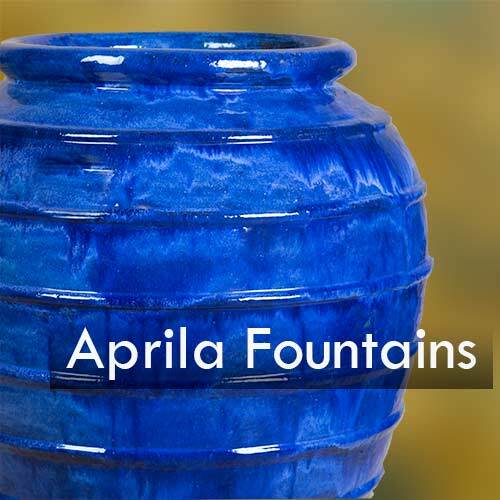 Create recirculating fountains by choosing the color scheme and finish of your choice using standard or boiling glazes. Simply add a pump, assemble and the fountain will deliver both visual impact and soothing falling water sounds to any environment. 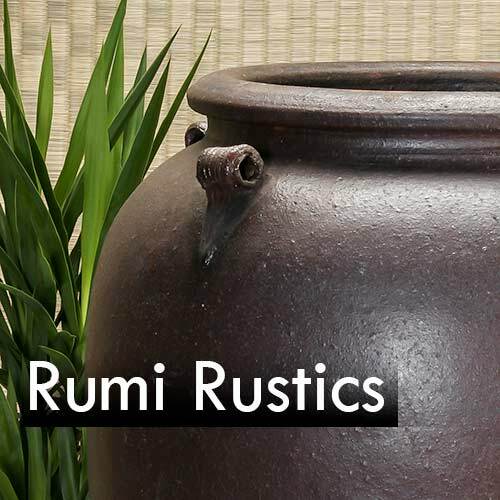 The best outdoor pottery known to man in classic dark brown finishes. High fired and factory sealed to prevent any water intrusion, these pots perform in the heat of Arizona or the cold of Montana. Choose from the classic smooth sides pieces or our own designs of Cham pottery with detailed carved patterns. Small, Medium and extra large pot sizes are available for both commercial and residential settings!